DES College of Nursing Pune, Maharashtra, was established in 2007. The aim of DES College of Nursing Pune, Maharashtra’s is to prepare competent graduate nurses. The nurses are providing promotive, preventive, curative and rehabilitative services. The main objective of The College is to provide quality nursing education in an environment that facilitates all round development of the students. The motive of the college is to make this college; an institution of repute in the field of nursing education which would offer need based academic programs suited to the ever changing demands of the health care sector. Why to join DES College of Nursing Pune, Maharashtra? Activities: All students are member of the Student Nurses Association of India. They participate in various sports and cultural events organized by the Student Nurses Association of Pune city branch. They also participate in the sports and cultural events organized by Maharashtra University of Health Sciences. Professional Experience: This is a very positive part of this college, which differs it from the other college. This service makes this college incomparable. 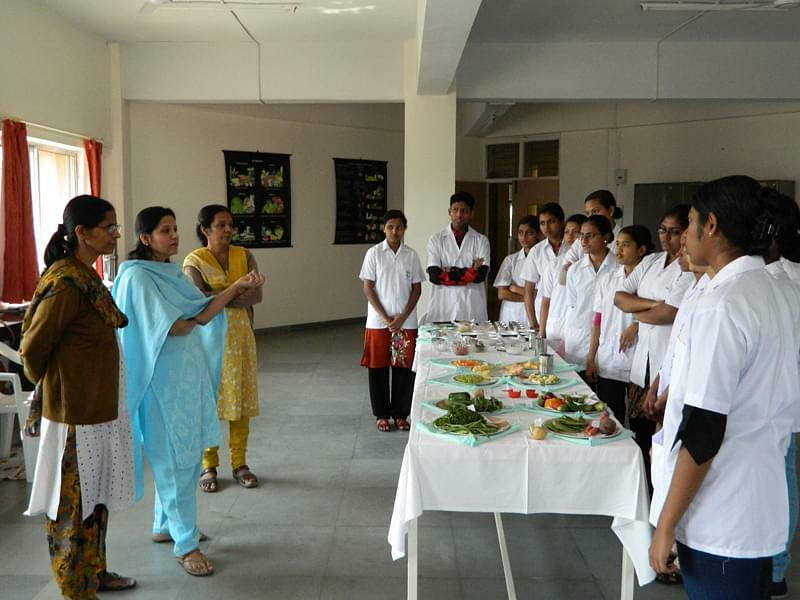 They provide clinical experience to their students at Sahyadri group of hospitals.